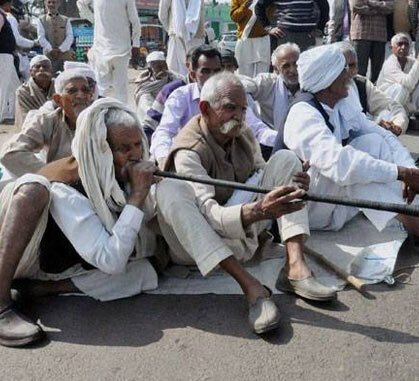 Jat Population in India - Jats are a Hindu community mainly associated with agricultural industry in India. Jats or Jaats are fairly present in several states of India including Rajasthan, Punjab, Uttar Pradesh, Haryana, Delhi, Madhya Pradesh, and Gujarat and so on. There total Population in 2017 was estimated to be 28,071,366. However, In 2016, this figure was 26,384,915. Thus indicating that there is a steady growth in Population of Jats from year on year in India. In Haryana, Jats form the 29% of the total population, thus representing a strong community in the state’s economic and political development. In Uttar Pradesh, Jats with 6% population are mostly settled in western part of the state. The state of Rajasthan also constitutes a descent Jat Population in India. A large proportion of Jaat Population is located in North Western India. Jast are also present in Pakistan, Balochistan, NWFP etc. Explore details about Jat Population in India.